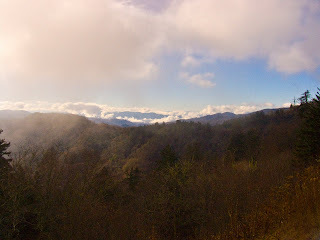 It is only fitting that my first blog post here be about the Great Smoky Mountains. First off, I love the desert, and find the beauty found at places like Zion and Grand Canyon unparalleled. But if I had to pick my favorite spot on Earth aside from the desert, it would be the Smoky Mountains. In many ways these mountains are a polar opposite of the landscapes in the Southwest. 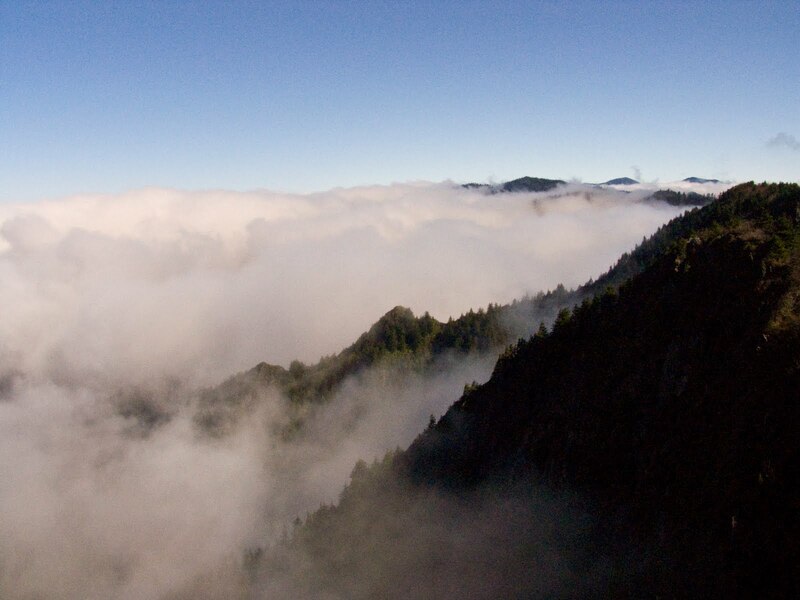 The Smokies have lush vegetation, gushing mountain streams, a moderate climate and tourist traps. Oh yes, just outside out of the National Park is the trifecta of tourist trap towns - Gatlinburg, Pigeon Forge and Sevierville. Here you'll find mini golf, go-carts, bungee jumping, cheesy gift shops, outlet malls, dozens (and I mean dozens) of pancake restaurants, and so on. 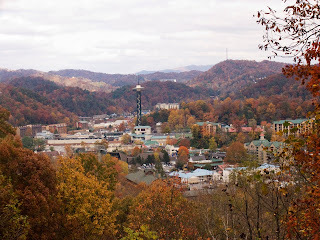 While the Great Smoky Mountains National Park is the most visited national park in the US, there are many millions more who will never set foot inside the park, but instead hit up one of the touristy towns. If you make it to the Smokies, and are in the mood for a moderate hike, I highly recommend a hike to Charlie's Bunion. Starting from the Newfound Gap parking lot, you hike the Appalachian Trail for roughly 4 miles until you reach this bald rock outcropping with a commanding view of the mountains. Even with the clouds the views are still impressive. Also head over to the Roaring Fork Motor Trail for a beautiful drive through the mountains just outside Gatlinburg. 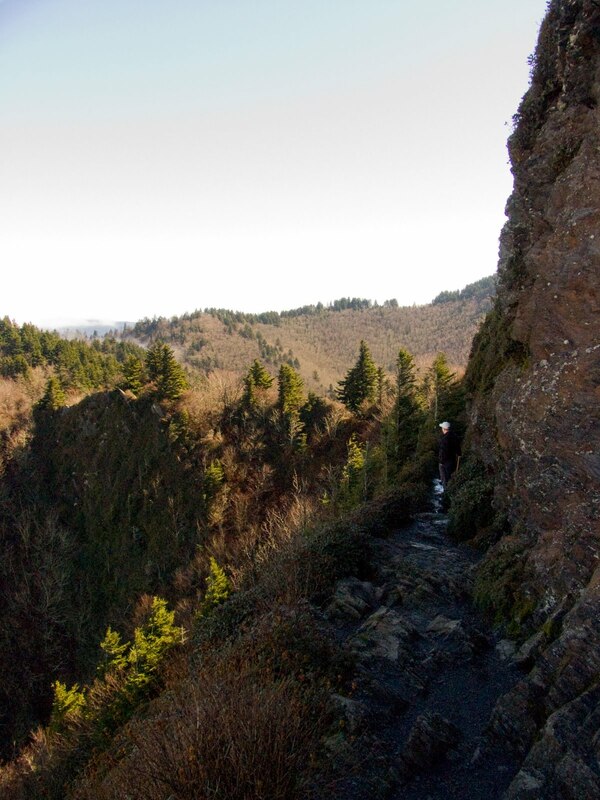 There are plenty of places to get out and explore, including pioneer cabins, waterfalls and the popular trailhead to Rainbow Falls (a moderate to strenuous hike) and Mt. Leconte (definitely in the strenuous category). In my next post I'll write a little bit about the wondrous tourist traps you can visit in the area. I did Leconte for the first time a few weeks ago and loved it. The Alum Cave (?) trail had some beautiful views! My friend wanted to do it all in one day from Nashville, which kind of sucked, but it was fun nonetheless.